This article describes the steps for integrating SharePoint, Microsoft Graph API, and Node.js apps on Azure. Today, in this write-up, let us learn how we can integrate SharePoint and Node.js App on Azure using Microsoft Graph API as a bridge. Read permissions are enabled in the Microsoft Graph API to interact with SharePoint. In this scenario, all the site collections are retrieved via Microsoft Graph API. It's essential to form the URL and test on Graph Explorer. 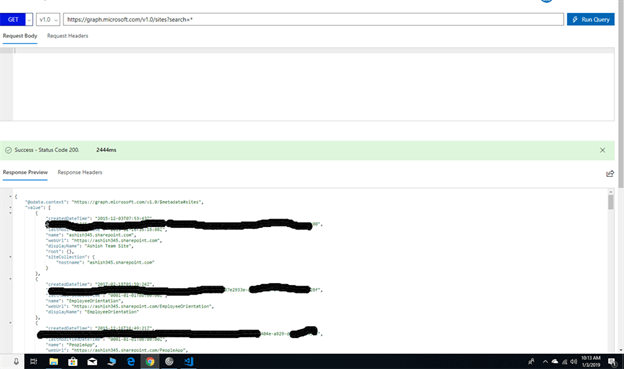 Once done, an app is registered on the Azure Portal. I have explained the detailed steps for that in this article. 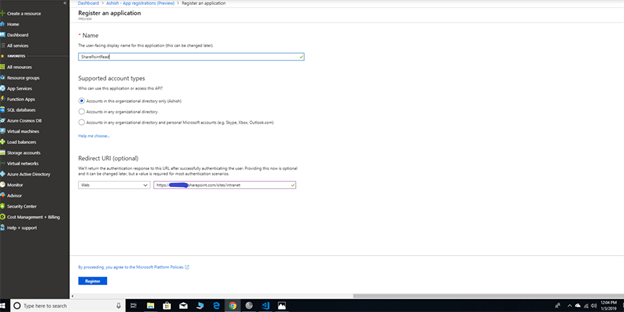 Post registration, a node.js Azure webapp will be created which, in turn, will call the app registered on Azure Portal using a token endpoint. Test the query using Graph Explorer. It should result in success while using your SharePoint tenant here. Create an App. Enter the details as shown below. We shall use SharePoint site URL in the Redirect URL text area. Grant the Read permisssions. Don't forget to grant Admin Consent. Open the Azure Cloud Shell and start executing the below commands. Install node.js, Express, and npm. Below is the code file for accessing the Graph API. Refer to the source code for complete details. Run the below command in your VS Code Terminal. Drag and drop the zip file at the below URL. It will automatically get unzipped and deployed.